The Limited Edition Adidas Adicross Gripmore 2 golf shoes are inspired by the huge payday for the winner of the FedEx Cup. With their opulent design and rich details, it’ll make you look like a million bucks. 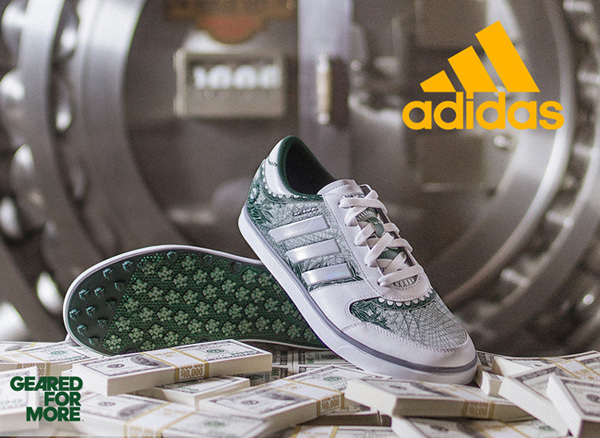 Don’t miss your chance for these “money” shoes. Click here for details, and order fast, very few of these Special Limited Edition shoes are available.